A term often used, among others, to describe a hazy beer I don't quite understand. What exactly is "juicy" when describing a beer? What seemed straightforward became confusing when someone pointed out that we already have a term that expresses what "juicy" seems to describe: fruity. The quality of fruitiness is one of the oldest and most established, derived usually from esters yeast creates, but sometimes resident in the flavor and aroma of certain hops. I suggested that "fruity" is the descriptive term, but “juicy” is an evocative one. It hints at an experience, as when a dribble of sun-warmed liquid runs down one’s chin after biting into a peach. By this reckoning, juiciness is extreme fruitiness. But what about other qualities in juice? Another commenter added, "But I think when you say juicy, it should remind you of a depth of flavor behind the sweetness. Citrus bombs finishing pith-y, almost tannic, etc. If you're getting hop bitterness, it's not juicy in the palate." It's true that fruit juice contains other characteristics, some less noticed, like acidity, tannins, and myriad minor flavor compounds. But also this: sweetness. This is a major element of low-bitterness IPAs. The sweet malts are not balanced by much bitterness, and the fruitiness that comes from the English yeasts and American hops communicate sweetness as well as fruit flavors. Indeed, interrupting the sensation of sweetness with any hop bitterness interferes with some people's definition of whether it's juicy. This is an especially important point in 2018 because sweet beers ("pastry," "dessert," et al) are another big theme in brewing. No one definition will serve all needs. The qualities of juiciness are many, and people aren't using the term consistently. A big reason is because these qualities are new and not yet established--there is not yet a "classic" juicy IPA to which we can all turn as the standard and platonic ideal. So juiciness remains an elusive term until we figure out what we actually prize in juicy IPAs. Which brings us to "hazy," an even less-defined word in constant use. It has become shorthand for a class of beers we used to call, inelegantly, New England IPAs. There are two problems here. 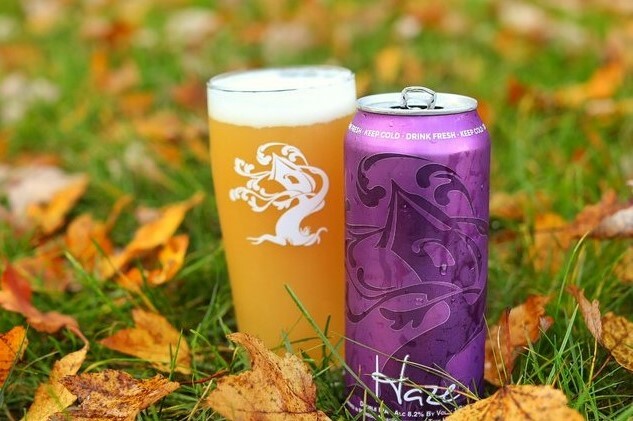 One is that hazy is a preexisting term, used long ago to describe a beer with unwanted proteins in suspension, and more recently for beers with a hoppy shimmer. Those beers were a lot less cloudy than today's "hazies." The second problem is that haziness is a relative quality far closer to perfectly clear beer than other terms, like "cloudy," which describes hefeweizen-level opacity. Whereas "juicy" seems to be a term waiting on agreement, "hazy" seems to invite confusion. With New England IPAs, drinkers in the know could expect both dense opacity and intense fruit juiciness. The style, such as it was, contained both requirements. But what of a "hazy IPA?" Must it be cloudy? Should it be cloudy? Sierra Nevada's new IPA, Hazy Little Thing, which is juicy but not cloudy, is an example of how this term can be both accurate and inconsistent with earlier uses. And yet, because it meets consumer expectations for the term, it may well begin to redefine the meaning of "hazy IPA" away from the opaque versions originally brewed in New England. I wonder if this isn't at least partly intentional (or at least welcome). When the New England IPA phenomenon was in its sweatiest, most agitated stage of hype, brewers were doing anything they could to cloud them up. The original New England hazies got there naturally, with no effort to murk things up. But in the classic American classic, if something is good, more of it must be better. As with hop bitterness in an earlier generation, the vanguard pushed things to the extreme. Perhaps using the word "hazy" will allow brewers to make beers without worrying that they admit too much light into the glass. They can just brew them for taste and color, and let them find their natural level of haziness. And then, once we figure out what "juiciness" describes, we may be on our way to finding that platonic ideal for these hazy, hoppy ales.